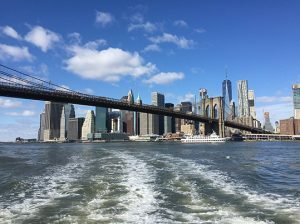 Best of New York, Perfect for Newbies too | Custom & Private New York Tours, Inc.
Grand Central Terminal, the world’s largest terminal, not to be missed, folklore, Vanderbilt history, “whispering arches” to name a few. The Chrysler Building, The Empire State Building and The Flatiron, three iconic jewels that have enhanced the international statue of New York as a primate city. The High Line, third most popular attraction; Chelsea Market, Oreo cookie created there in 1912. “That place is so busy, nobody goes there any more!” Take in “The Village,” Soho, Little Italy and Chinatown, all unique and fascinating. The Brooklyn Bridge and Brooklyn Heights, America’s first suburb, where Churchill’s “mum” was born, Leaves of Grass and Death of a Salesman were written there as well. The promenade is the place for a spectacular family photo with the New York City skyline and The Brooklyn Bridge in the background! Other Sites: 911memorial, Statue of Liberty from the shoreline, Wall Street, The Bull, and a few other surprises, if you want to extend your tour. Visit the most popular sites; target your interests, preferences and whims. We can discuss your wishes before your tour or we can collaborate via email or phone. We’ll create a tour that’s perfect for you.